Jack London State Park stretches west from the outskirts of Glen Ellen, ascending the eastern slopes of Sonoma Mountain. Until recently the mountain summit was out of reach to the public, but a new purchase by the Sonoma Land Trust, the Sonoma County Agricultural Preservation and Open Space District, and the California Coastal Conservancy will change that. The $9.95 million deal adds just 283 acres to the existing state park lands, but they are critical acres that will prevent ridgetop development and enable a future trail connection to Fairfield Osborn Preserve, east of Cotati. 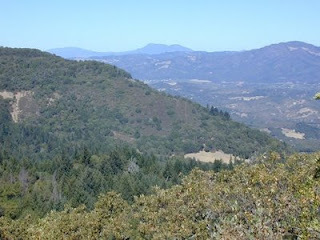 Views from the to p of Sonoma Mountain are said to stretch all the way to San Francisco. The last time I visited Jack London State Park I hiked through the southwestern park of the park and even from the relatively modest elevations on the Sonoma Ridge Trail, the wine country views are incredible, particularly northeast to Mt. St. Helena. Read about the land purchase here and about hiking at Jack London State Park here and here. If you've never been to Jack London State Park, this would be the perfect time to check it out; wildflowers are approaching the spring peak. If you want to get as close to the summit as possible, take Mountain Trail all the way to the (not for long) park boundary, in the northwest corner of the park. What a great park to go a hike! its one of my favorites. 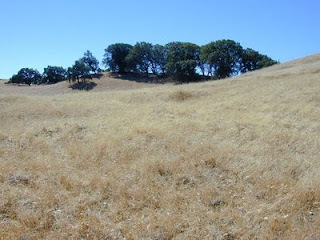 Sonoma Mountain is a prominent landform within the Sonoma Mountains of southern Sonoma County, California. At elevation of 2,295 feet (700 m), Sonoma Mountain offers expansive views of the Pacific Ocean to the west and the Sonoma Valley to the east.